Hairy Crabs! It's the time when these seasonal delicacy treasured for their abundant roe are calling out to us once again! 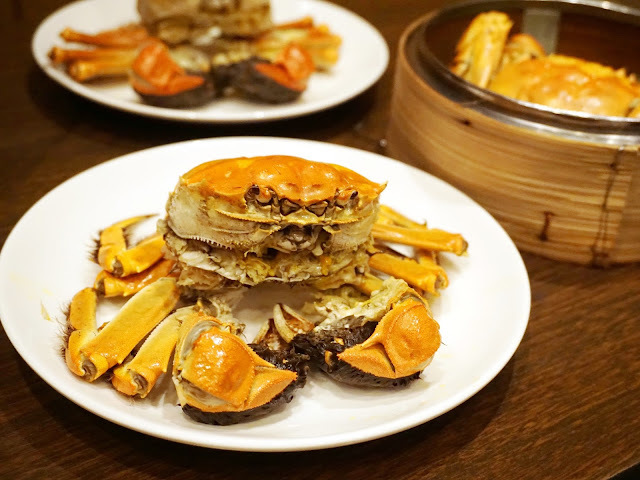 This year, Wan Hao 萬豪軒, the award-winning Chinese restaurant at Singapore Marriott Tang Plaza Hotel, offers two scrumptious Hairy Crab Grandeur menus priced at $98++ and 108++ (minimum 2 persons to dine, Marriott Club member entitles for flat 20% discount). The dishes are available ala-carte too if you're not ready for the 6 to 7 course feast. 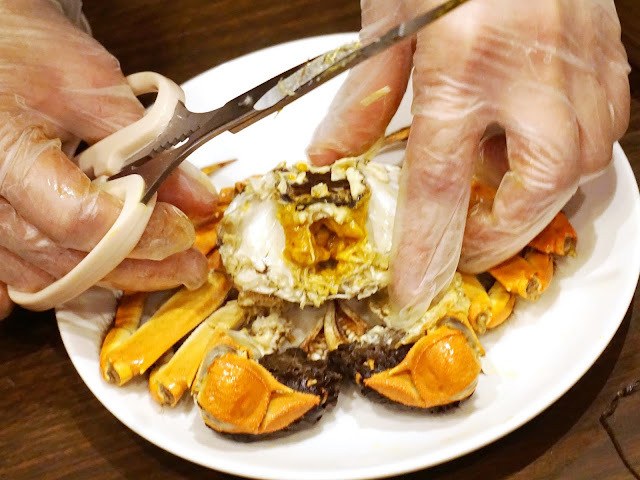 I wouldn't deny I'm a huge fan of hairy crabs, so hurriedly made a beeline for it before promotion ends in end-Nov. Chiong ahh!!! We went for the $98++ menu, starting off with a trio of dim sum: Steamed Crab Meat Dumpling, Deep-fried Hairy Crab Ball, and Steamed Hairy Crab Xiao Long Bao which was my favorite. Its warm broth filled my mouth with much rich crustacean sweetness upon first bite. How not to like? I can't say the same for the next course of Hairy Crab Meat & Roe Broth with Bamboo Pith though. Its flavor was rather subdued, and consistency a tad thin. Still palatable, but we were expecting a more intense soup. 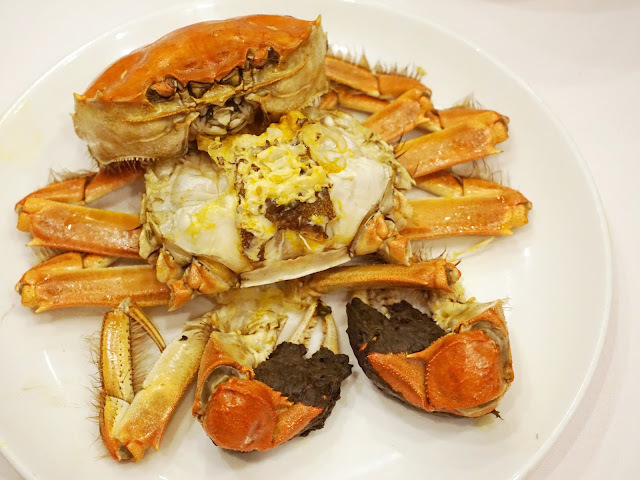 Our dipped enthusiasm quickly perked up again when servers brought over the highlight of the meal, Baked Whole Hairy Crab with Shao Xin Chinese Wine! It took quite a bit of effort before we got to those rich creamy roe and delicate meat, but certainly worth getting our fingers dirty for it. 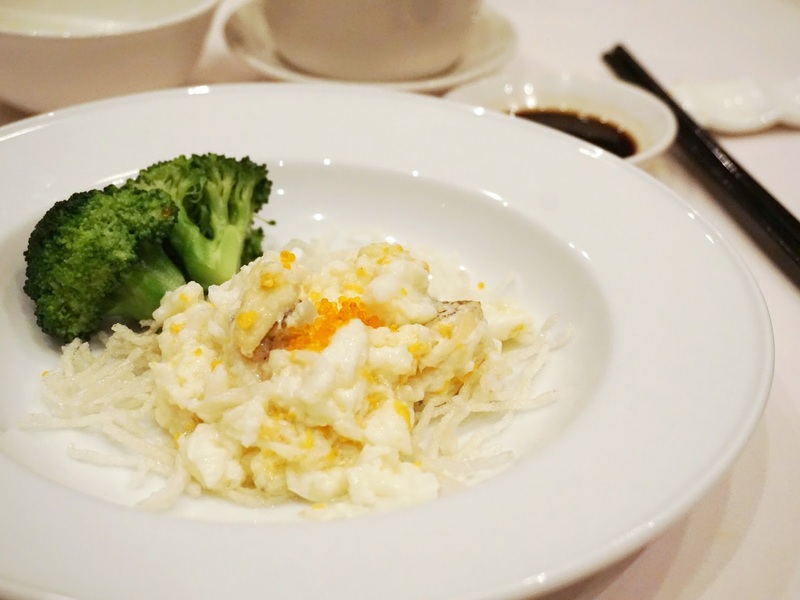 The Fresh Milk Stir-fried Hairy Crab Meat with Egg White & Shrimp Roe was another crowd-pleaser that evening. Very delicate in taste, the lift from accompanying vinegar dip was quite pivot in making the dish a success. I love the Wok-fried Rice with Hairy Crab Meat, Fish Roe & Diced Mushroom so much that I even helped Derrick to finish most of his portion lol! 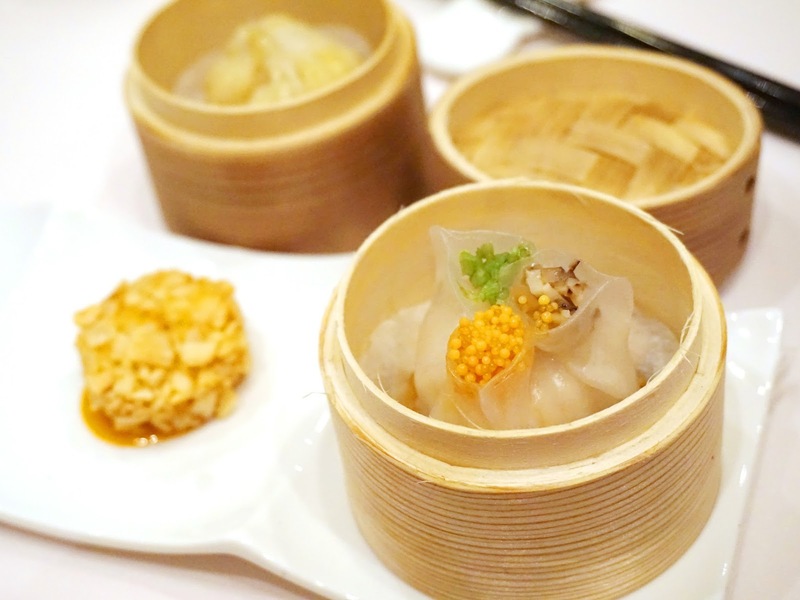 Each grain separately beautifully and were superbly fried to tinges of wok hei lurking in each spoonful. The little popping sensation from the fish roe reminded me of the fried rice I had at Café de Hong Kong. So delightful! The set course concluded with Coconut Sago with Japanese Sweet Purple Potato. 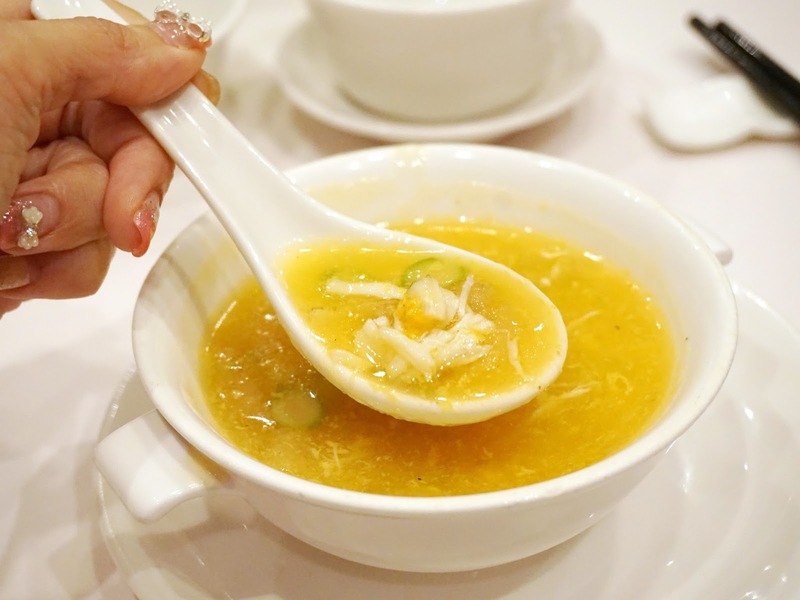 Adequately refreshing to cleanse the palate, but I thought perhaps a Chinese-style dessert with ginger broth (though we were already served hot ginger tea) would cohere better with the hairy crab theme. Crab is believed to have a "cooling (yin)" effect on the body, so ginger is good to balance that out with its "warm (yang)" properties. All in all, the hairy crab feast at Wan Hao was a fantastic one. Reservations are recommended to secure a table at the main dining hall, cozy 4-seater booth or private room. Go before the crabs crawl out of season!